Chilling coffee and drinking it cold is a great way to enjoy it, especially in the hot summer months. However, simply pouring regularly brewed coffee over ice isn’t the best way to go about it. I didn’t know this until I recently started hearing buzz about cold-brewed coffee, a.k.a. cold-pressed coffee. It seems that when coffee is brewed the usual way, quickly and with hot water, it retains more bitterness and acidity than when it has a nice long soak in cold water. 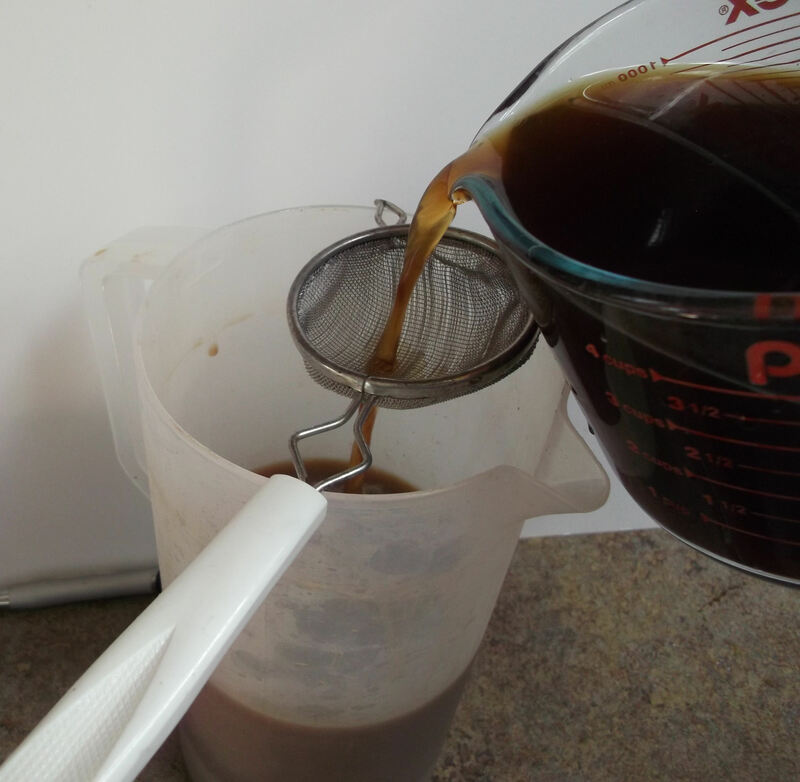 Curious, and looking for a smoother-tasting afternoon jolt, I made my first batch of cold-brewed coffee. Needless to say, I was instantly hooked, and given how incredibly easy it is to make, I’ll be making this year-round. 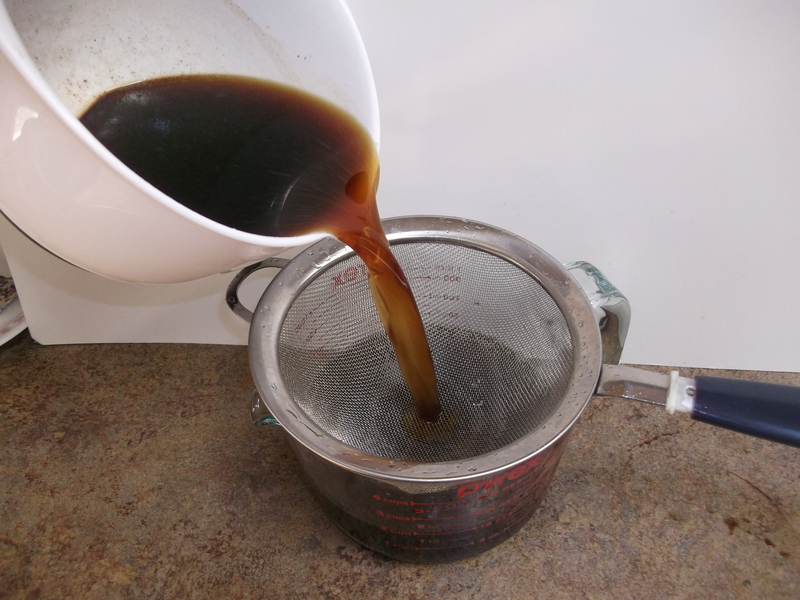 Pour the ground coffee into a 1-quart bowl or container. Fill with cold water, gently stir, and cover with plastic wrap. Allow to sit at room temperature overnight (at least 12 hours, and up to 20 hours). After the waiting period, pour the contents through a fine-mesh sieve into a 1-quart bowl or container. 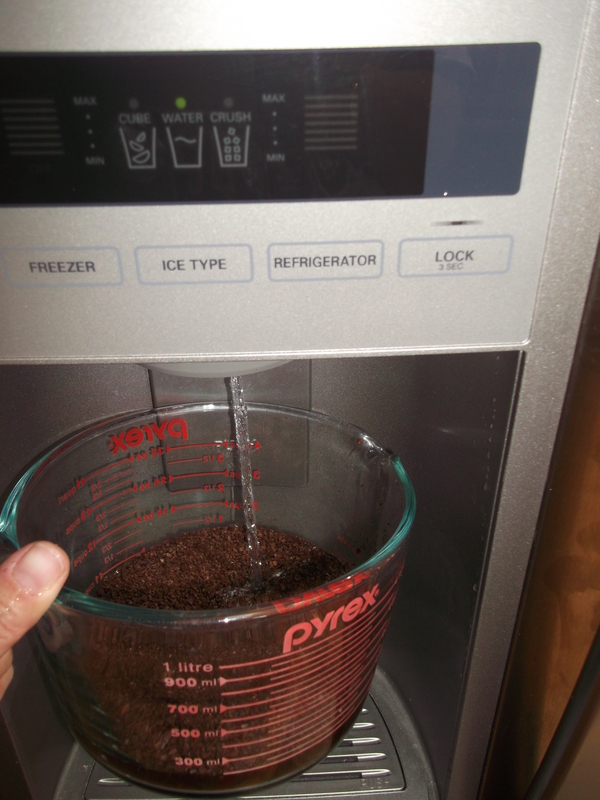 Gently press on the coffee grounds to extract as much liquid as possible. 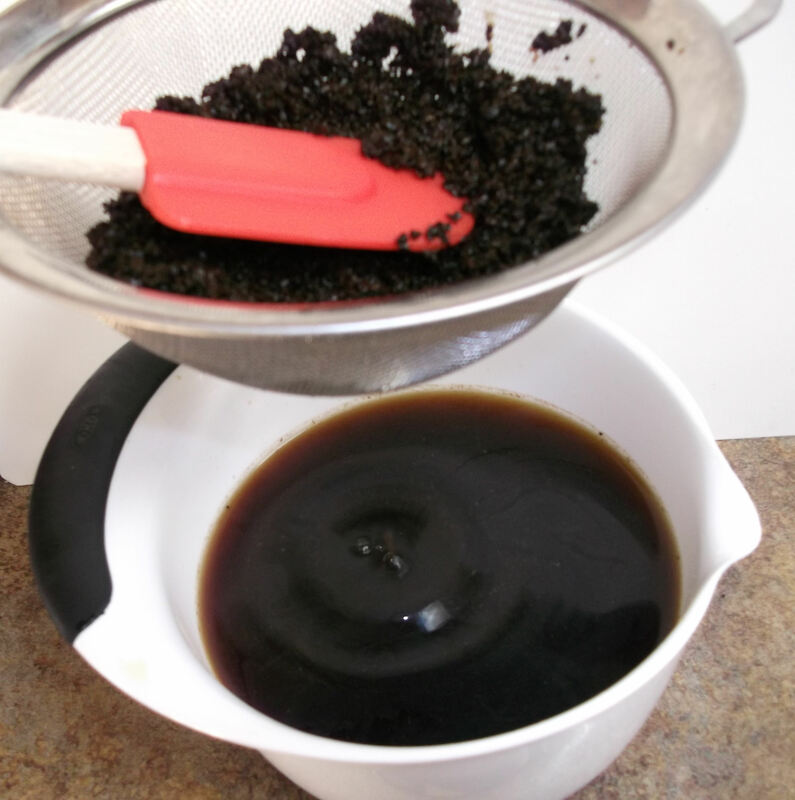 Discard the grounds, rinse the sieve and the original container, and strain the coffee back into that container. Serve the coffee chilled, over ice, and dilute each serving with at least an equal amount of a mix-in: regular milk, soy or almond milk, half-and-half or even water. Sweeten with sugar, simple syrup or chocolate syrup. Store the filtered coffee in the refrigerator in an airtight container for up to two weeks. 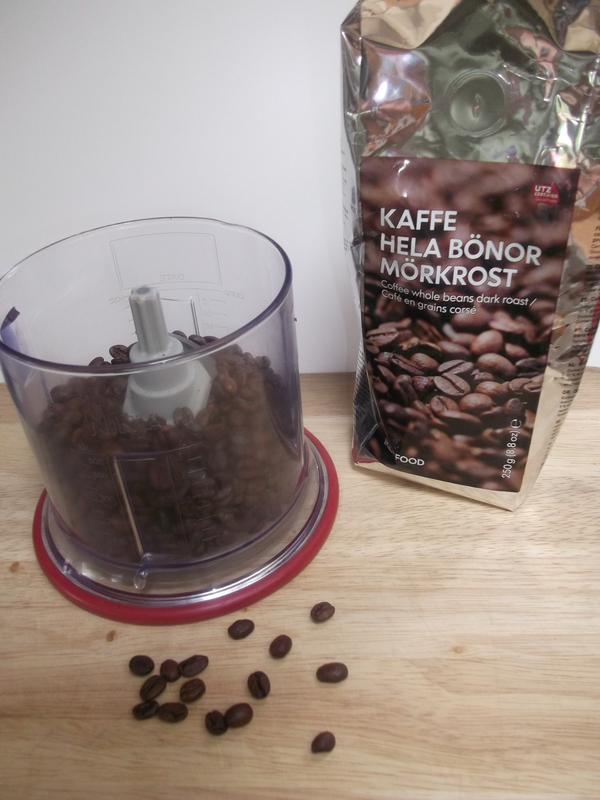 For the coffee, either grind whole beans in the supermarket (use the Coarse setting), or grind them at home in a coffee grinder or food processor. 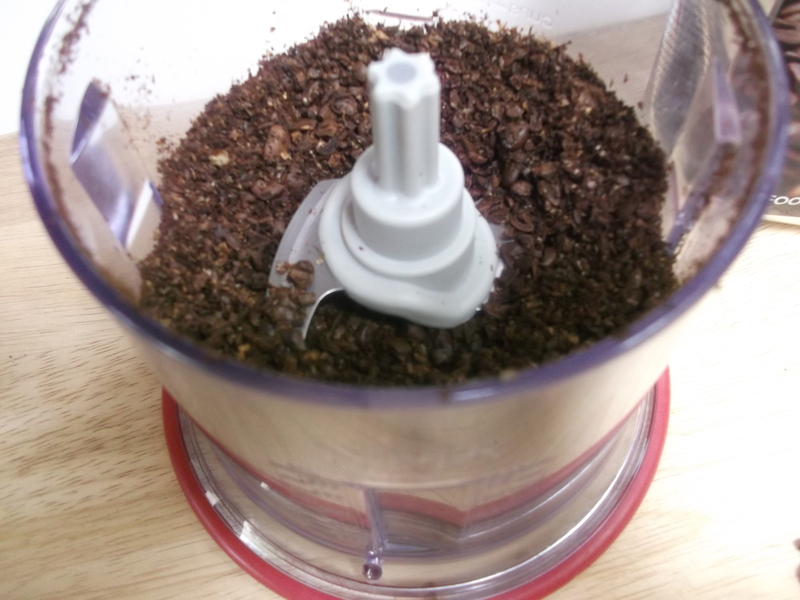 It will be pretty coarse if you grind it at home, but that’s okay. Try to keep it as uniform in size as you can. Start by placing the coarsely ground coffee in a 1-quart bowl or container. Any “shade” of roast, and either regular or flavored coffee will work. Experiment and see what you like best. You may even find that the type of coffee you use for your favorite hot coffee in the morning turns out to be different than what you like cold-brewed. Note: you can use up to 4 oz. of coffee in this recipe, but start with 2 oz. and see how it goes. Fill with cold water; filtered, if possible. I use the water dispenser from my refrigerator, since it has a good filtration system. Gently stir to blend and then cover with plastic wrap. Allow to sit at room temperature for at least 12 hours, and up to 20 hours. 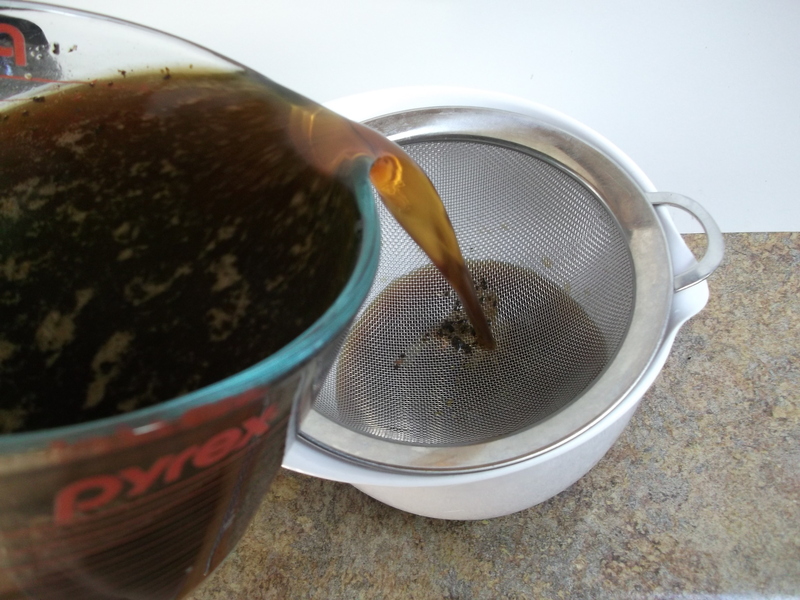 After the waiting period, pour the contents through a fine-mesh sieve into a 1-quart bowl or container. Scrape all the grounds into the sieve and gently press on them to extract as much liquid as possible. 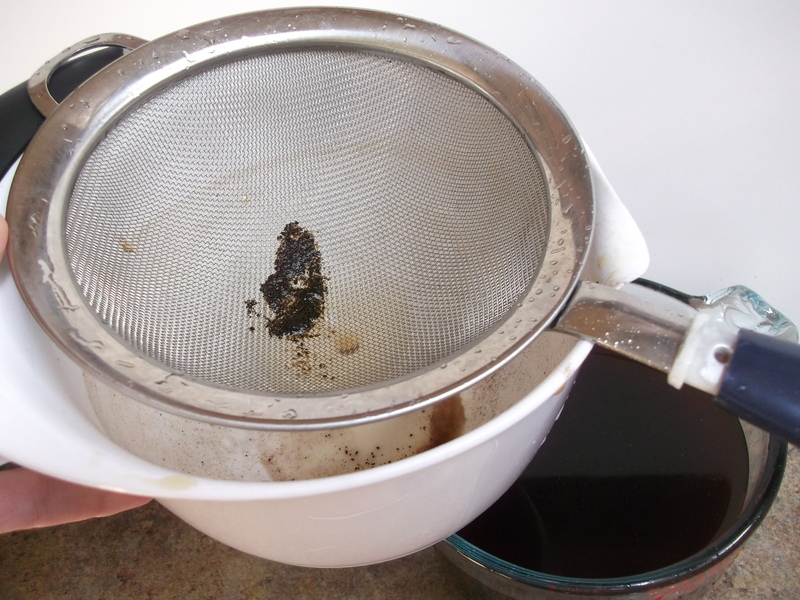 Discard the grounds, rinse the sieve and the original container, and strain the coffee back into that container. There will very likely still be some fine grounds left. Optional: filter the coffee one last time while pouring into its final container. I keep mine in a pitcher in the fridge, so I filter it one last time – through a really, really fine mesh strainer to catch all remaining residue – right into that pitcher. 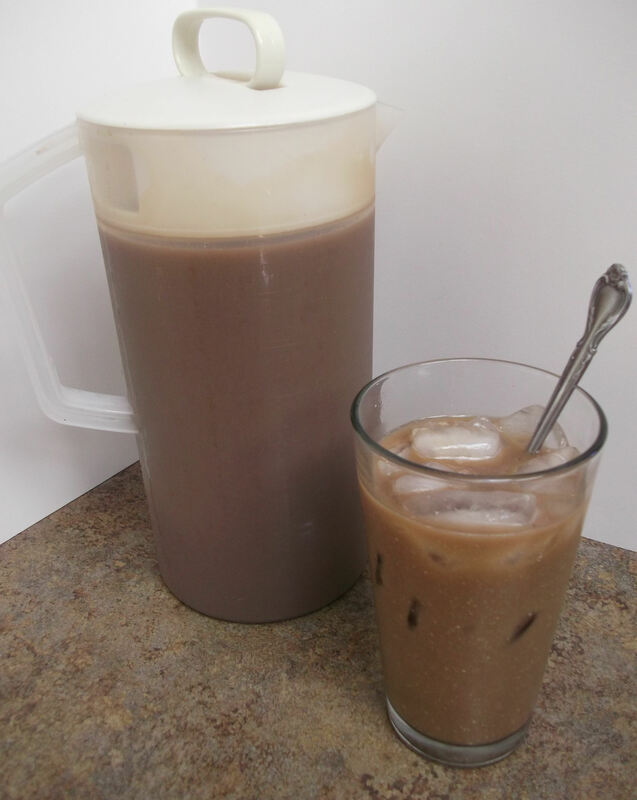 Store the filtered coffee in the fridge in an airtight container for up to two weeks; serve chilled over ice. Because this coffee is concentrated, be sure to dilute it with your favorite mix-ins – use up to 2 parts mix-in to 1 part coffee: try cream, regular milk, soy or almond milk, half-and-half or even water. Sweeten it with sugar, simple syrup or chocolate syrup. Serve over ice. I just add my favorite mix-ins (almond milk and some chocolate syrup) right into my pitcher so it’s ready to go at any time. Enjoy!